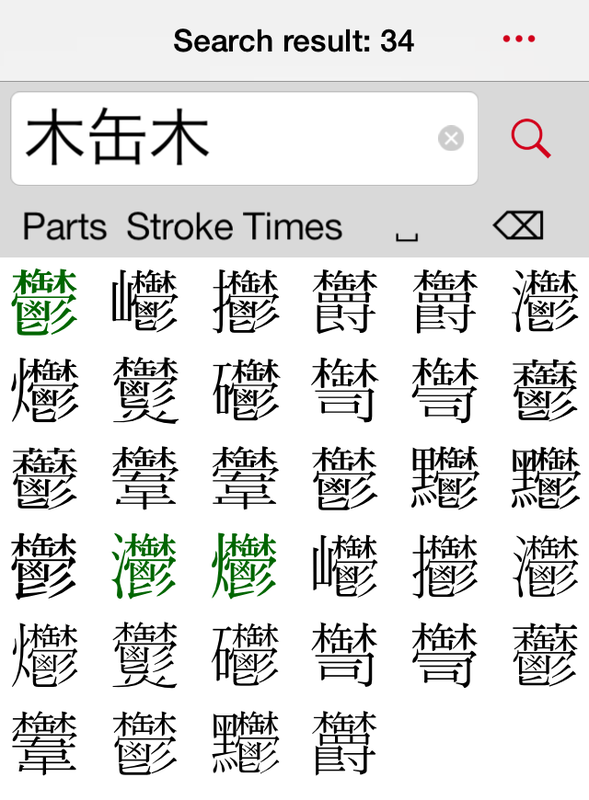 You can refine the search criteria by reading(Hiragana or Romaji), strokes and their combination(AND conditions), in addition to parts. You can search characters even if you don't know the character's exact strokes, because you can specify the range of strokes. 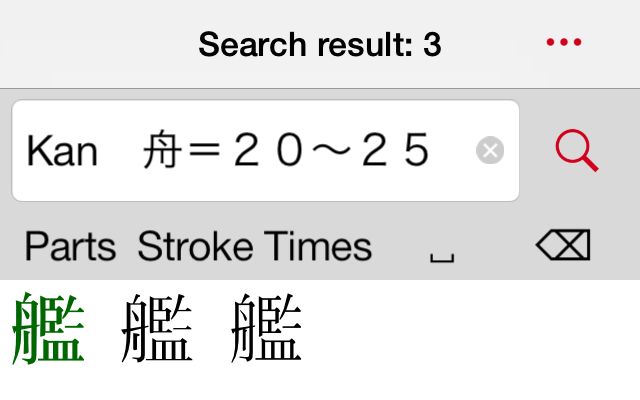 For example, if you input "kan 舟 ＝20～25" as the search criteria, you can refine search the one character "艦". As for the kanji character "艦", its reading is "kan", its strokes are in the range of 20-25, and it includes the part "舟". Here is one more example. If you want to search the complicated character "鬱" in the word "憂鬱 (yuu-utsu or gloom)", you can refine the search results sufficiently just by inputting the distinctive parts "木 缶 木". You don't have to input all the parts of the character as the search criteria. Searched Kanji "鬱" by Characters "木", "缶" and "木"